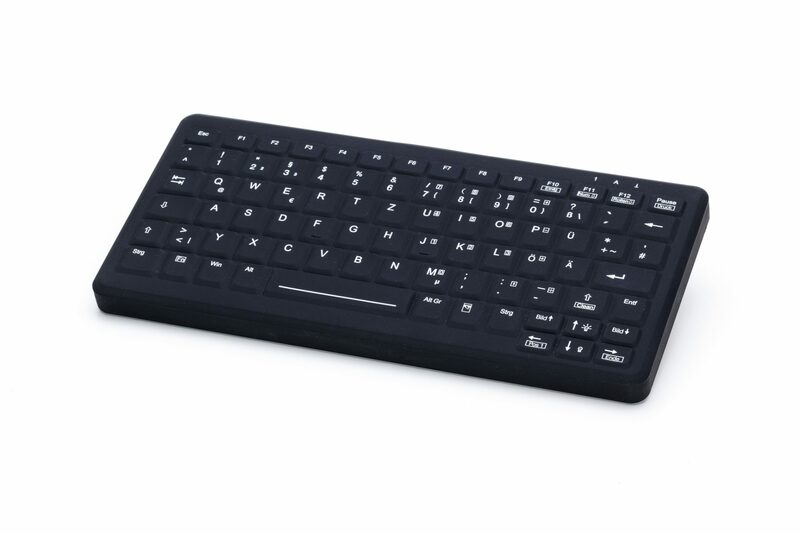 The TKG-083b-IP68-BACKL-KGEH is a compact, space-saving plastic keyboard with a silicone surface. 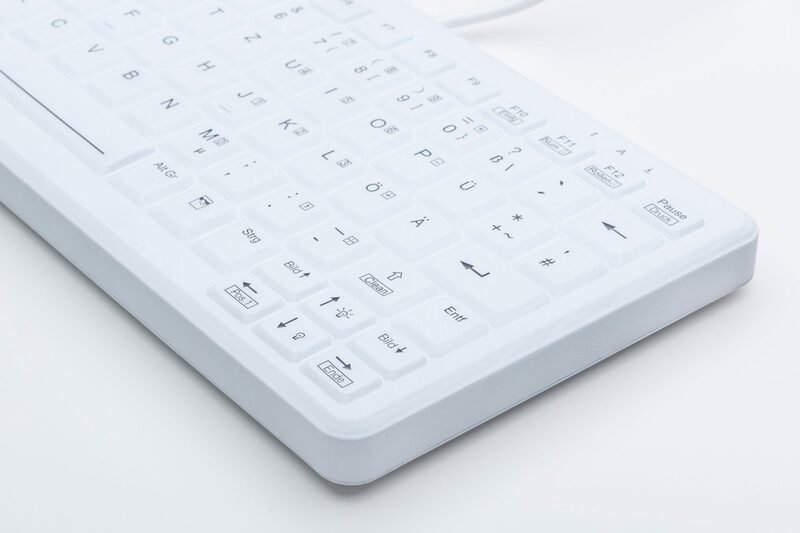 The keys allow a high typing comfort similar to that of a conventional keyboard. 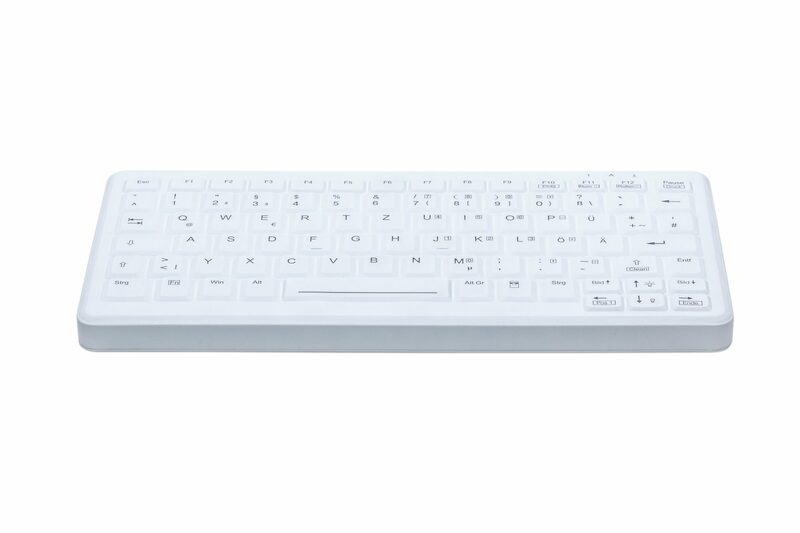 The keyboard has a green backlight, which can be adjusted individually by means of keys. 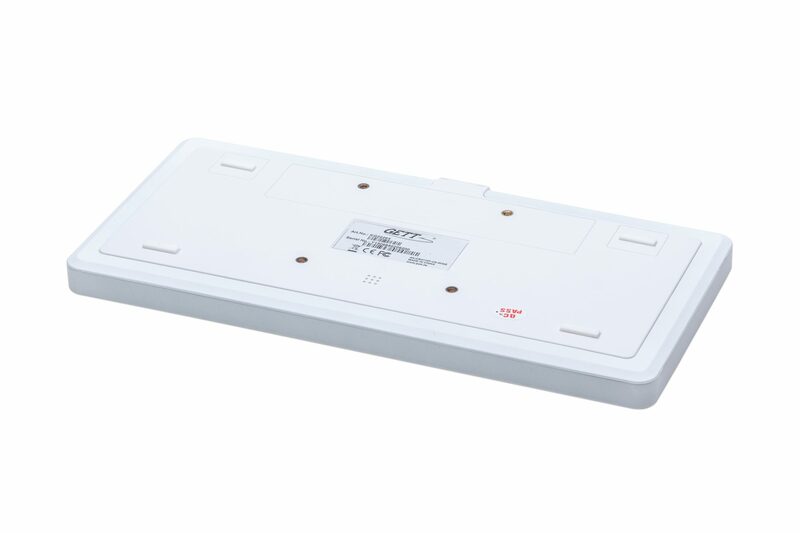 The design allows a complete cleaning and disinfection of the surface.